I now have the full MMAC Results from the Goodrich 10k. It shows that 64 members took part, a good turn out indeed. Congratulations to Gordon Lee, Leicester Coritanians, member #M3229, for winning the race overall in a time of 31:18. 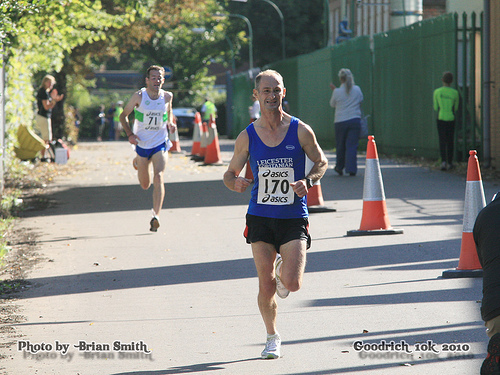 He was closely followed home by Tim Hartley, Notts AC, in 31:22 and Dave Evans, Wolves & Bilston AC, in 32:10. Gordon Lee (170) winning the race in 31:18 just ahead of Tim Hartley, Notts AC & MMAC, in 2nd place in 31:22 A closley fought duel!! Closing date… 5th September. NO entries on the day for MMAC or BMAF.